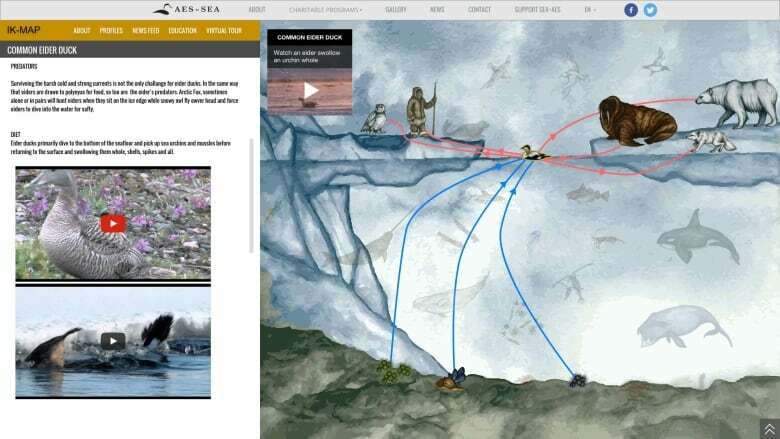 A new database is creating an encyclopedia of knowledge for Inuit observations of the sea ice, wildlife and land in and around Hudson Bay. Inuit who live in the community of Sanikiluaq, Nunavut, have been noticing differences in their environment for years — from sea ice freezing in ways it didn't in the past, to seals eating fish that they never used to. 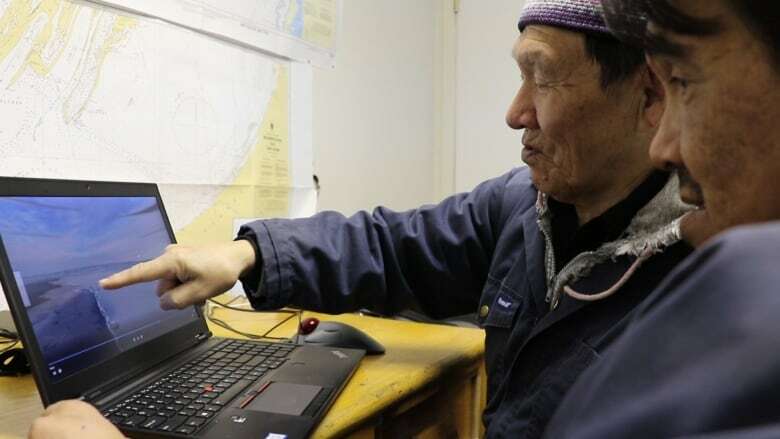 Now, thanks to a new technology called Siku, set up by the Arctic Eider Society, hunters will have a way to track those changes and share them with other Inuit. 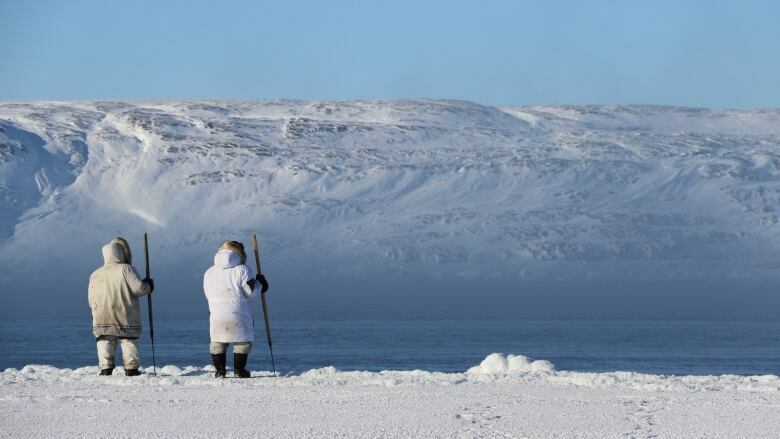 Sanikiluaq elder Jimmy Iqaluq shares describes a frozen sea scape captured by an arial drone.​ (Submitted by Arctic Eider Society)Joel Heath, the executive director of the society, calls Siku a community-driven database that can be used like a social media site. He says people are keen to share their stories, pointing to several popular Facebook groups that already exist for hunters in Nunavut. "There's no way to mobilize that data," he says. "You'd have to scroll down forever through the feed to see what stories have been told." Siku is different in that it turns observations and stories into searchable data. For example, Heath says Inuit hunters can take photos of sea ice, then enter the type of ice and its location into the app, along with the Inuktitut terms and traditional place names. The entry can be 'tagged,' with keywords, which makes it easy to search. Heath says hunters can then go back and look up, "where did we go hunting, where were the seals, where were the other animals?" 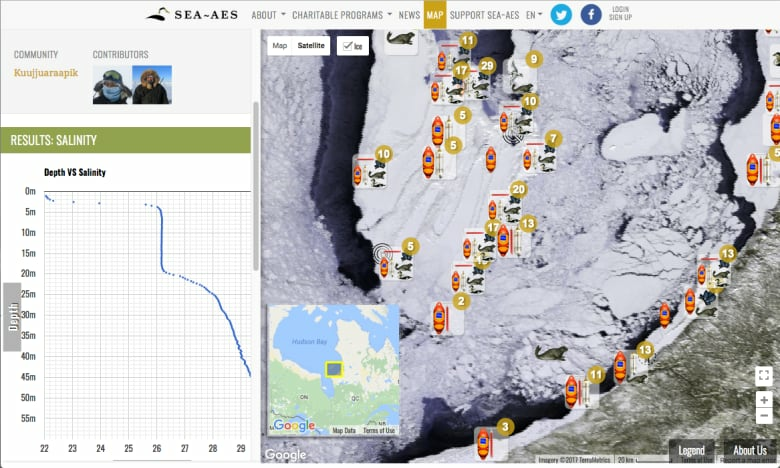 Siku — which means sea ice — recently won $750,000 from the Canada-wide Google.org Impact Challenge. The prize will be used to further develop the platform. "We've already created profiles for wildlife and types of ice using Inuktitut terminology," says Heath. Now they're working on integrating different Inuktitut dialects and adding profiles for different kinds of ice. Those will be turned into what Heath calls "'Wikipedias of Inuit knowledge." Hunters like Sanikiluaq's Lucassie Arragutainaq have been noticing changes in the environment firsthand, especially in harvested animals. "Inuit knowledge is often overlooked, including First Nations," he says. "We will study the effects on the digestive tracts of these animals and the food chain. We will photograph and record everything." Heath agrees that Inuit knowledge is often written off as anecdotal. He said the prospects of Siku hit home when he was doing a workshop in Nunavik and a student told him that people will finally believe what Inuit have been saying all along. "This is really going to allow the data that's always been a part of Inuit knowledge to be mobilized by Inuit, for Inuit," says Heath. He says along with preserving Inuktitut terms and tracking environmental changes, it could potentially serve as a safety device for people going out on the land, and to be used to sway policy and development decisions. The prototype for Siku is currently being used by Inuit in the eastern Nunavut area of Hudson Bay, as well as by communities in Nunavik. Heath says ideally the technology made possible by this funding will build on this prototype to make it available for use by Inuit across the Arctic.